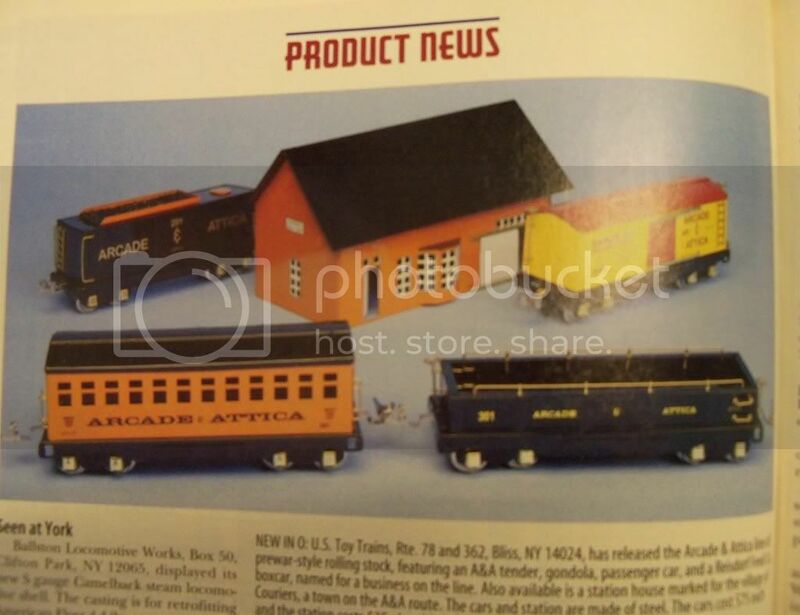 While strolling through the Arcade and Attica Railroad's (a Western NY shortline) train station a couple of years ago I saw a couple of trains painted in the A&A scheme, including what I think was a "standard gauge" boxcar in yellow lettered for Reisdorf feedmill- an online customer. Thinking it was a custom painted car I didn't take notice until last week when the same car was auctioned on Ebay. Apparently the car was manufactured by the "United States Toy Train Company," and there are several pictures of the car on the EBay site which include the underside showing a USTTC sticker. I imagine the EBay link (with the pictures) will disappear soon and I don't own the rights to post them, so hopefully I can get some answers before they disappear. I couldn't find much online about the USTTC. Who are they, and when did they operate? Can anyone give me any information on this specific car, like a rough production estimate, year of manufacturer, approximate cost, etc? I try to collect everything related to the A&A but this one is a real stumper. I am not all that familiar with antique O scale or Standard gauge trains, so any and all insight would be appreciated. I ran a photo of some of their products in the Feb 1998 issue. 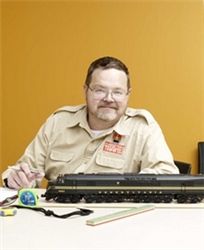 I had the impression that the toy train biz was a side interest of the owner of another company, because the literature I had at the time, steered queries to a firm that I only recall due to the exotic name - Invicta Hi-Temp. Featured in the photo were an A&A coachg, an A&A gondola, and A&A boxcar marked for Reidorf Feeds, an A&A tender and a station marked for Couriers NY (on the old A&A line). Their address was US Toy Trains, Rte 78 and 362, Bliss NY 14024. The rolling stock cost $75 each and the station $35. All were made of steel, and as I recall dimly, pretty well made (we shot the photo in house). Thanks for the quick reply! I am even more excited about the prospect of several interesting cars to hunt down. I will need to get the CTT back-issue to see this picture. I wonder if they are still in business. That was our pre-digital era and I have no idea where the photo negative might be, so I took a photo of the page.